Grace the scene in this stunning Adrianna Papell® Plus Size Matte Jersey Asymmetrical Ruffle Dress. Day dress in an A-line silhouette. 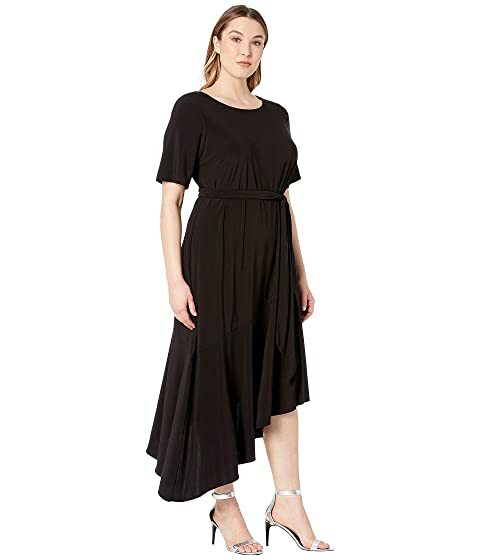 Ruffled asymmetrical hemline falls at a midi length.